GREENBELT, Md. — The mystery surrounding the abandonment of boxes of cats and kittens in Greenbelt, Maryland on Friday, and then again on Saturday, remains unsolved. 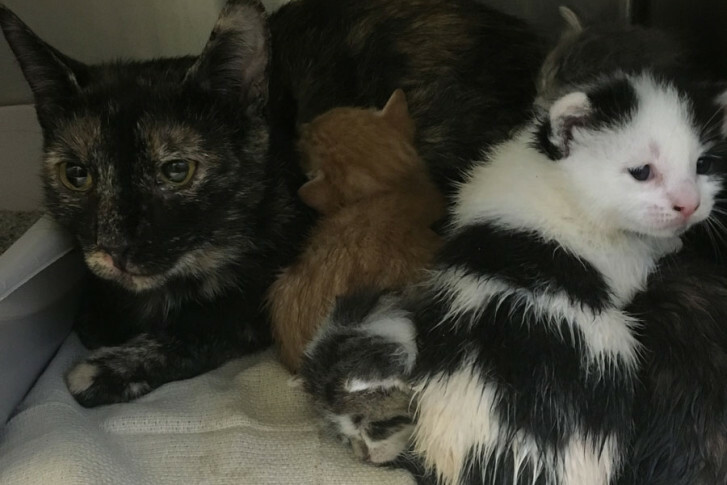 There is a $500 fine for abandoning any animal within the Greenbelt City limits, and there were a total of 28 cats and kittens left outside of the city’s animal shelter. “It is a finable offense, but I’m not as concerned with levying fines or penalties. I’m more concerned with finding where the animals came from,” said Celia Craze, director of Department of Planning and Community Development for the City of Greenbelt. The animal shelter is under her supervision. Craze says what she wants to do is make sure that the public knows that any time an animal has to be surrendered, there are what she calls “compassionate shelters” that can help. With many shelters nearly bursting at the seams in what is referred to by staffers as “kitten season,” shelters work with rescue groups to care for and place animals. In this case, there is some good news. By midmorning Tuesday, Greenbelt had more than 30 calls from prospective adopters. “Which is more than the number of cats and kittens that we have — which is a good thing,” Craze said. And Craze is optimistic that all the abandoned cats can be placed. What she would like to see is that the animals already in the shelter’s care can find homes. Kittens are relatively easy to place, “but older cats need homes too,” she adds. Residents can also help the shelter by donating supplies. “Just about anything that one would need for their own pet is something that we could use at the shelter,” Craze said.